With much regret, after 6 years in operation, Lemon Studios has unfortunately closed. The long and short of it is that our lease expired as the landlord decided to renovate the entire building at 85 Clerkenwell Road, and we were unable to find any other suitable locations that met the needs of our tenants and were financially viable. We looked hard because we love what we’ve done with Lemon Studios, but the options presented to us were either too corporate for us, or simply too expensive for the low margin business that we were. It’s been a great journey, over the last 6 years we’ve had literally hundreds of digital media, creative and Internet types in our offices, and the community and environment we created was unique. I’ve seen so many businesses start up in Lemon Studios, grow and move on to be very successful, and I hope that we’ve helped them with their success in some small part. I hope that everyone remembers Lemon Studios as fondly as I do, and I hope to see everyone at one of the 85 Clerkenwell Alumni events that we’re now organising. If you have any questions, then please feel free to get in touch with me on matt [AT] lemonstudioslondon.com. If you were fortunate enough to have been a resident at Lemon Studios at any point, then please do join our 85 Clerkenwell Alumni group on LinkedIn as we’ll be organising occasional get togethers. Much has been written about the impact social media such as Facebook and Twitter has had on the recent revolution in Egypt. Although, new media has no doubt been a significant help in order to empower those protesting, might it be that the ultimate overthrowing of Hosni Mubarak’s regime has been less about social media channels and more about new approaches to collaboration across multiple (of which Twitter and Facebook are ingredients) channels? During the protests, the response of international politicians has been of significance. Two weeks before Mubarak’s resignation, Philip N. Howard (writing for Reuters) called on the state department ‘to stop backing individual leaders in the Middle East. Instead, the State Department needs to back networks.’ Over the following days, parliamentary members and world leaders from all continents (a comprehensive list can be seen at this Wikipedia page) were mostly recorded supporting the voice of the protesters, which with the abundance of media channels available – from state-owned television to MP’s blogs – highlighted a clear and universally shared attitude towards the events which were unfolding. In addition, joint statements such as those made by Prime Minister David Cameron, President Nicolas Sarkozy and Chancellor Angela Merkel also signalled a degree of heightened political collaboration. In business, there were also significant collaborative moves which went some way to help the revolution take place. Key players in the digital industry: Google, Twitter and SayNow responded to the loss of internet in the country by launching Speak2Tweet. 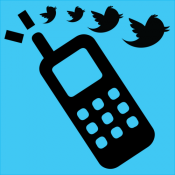 This service allowed those without internet access to get their messages from the heart of the protests on to Twitter by simply phoning an answer phone. Similarly, as new information emerged from a range of sources quickly and consistently, traditional media organisations such as the BBC became curators of a diversity of news reports via their multimedia live blog. Although this is not a new tool for the BBC, the events in Egypt may well have been the biggest test for the usefulness of presenting information in this way. At another level, individual experts in a range of disciplines – from journalists to programmers – were seen to be collaborating in interesting ways. This was perhaps best exemplified by the number of maps mashups which emerged such as those hosted at The New York Times and in independent places such as MIBAZAAR blog. These gave a good up-to-the-minute overview of new content from Egypt as it was uploaded (be it tweets or YouTube videos) – and offered better impression of scale and growth of the protest than any of the more filtered traditional channels. Social media was key to starting the initial protests (images of Kahled Said are a compelling spark – see New York Times) and keeping the protestors organized and in touch with each other and the wider world. Yet, it is reductive to focus too much on Twitter and Facebook – especially when the Egyptian government succeeded in blocking such channels for long periods of time. Interestingly, it seems this move failed because ‘the crowd’ was a multichannel collaborative network instead of being solely dependent on a broadband connection. Of the protests, BBC economics editor Paul Mason notes: ‘The weakness of organised labour means there’s a changed relationship between the radicalized middle class, the poor and the organised workforce.’ This is certainly true – and in a multichannel world the voice of the protestor and that of the politician have near equal airtime. It is the collaborative effort of individuals within and in-between all social levels which is most effective at getting the best of tools available to them. Located in the large south western city of Marseille, La Bo[a]te emerged in 2008 from an already established digitally-focussed community and student space called House Orangina. Today the coworking space prides itself on being ‘a small factory of innovation’ and offers fifteen “positions” (which can booked via their website) for entrepreneurs, graduates and freelancers eager to work on new ventures – from business projects to script ideas. 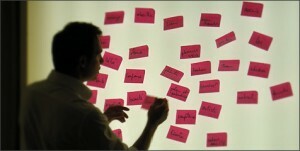 The space offers a range of prices for all types of prospective users, from €8 for half days to 10 day passes for €100. While many coworking spaces such as our own Lemon Studios are keen to target individuals and start-ups working within certain industries, Soleillies Cowork in Paris are setting themselves apart by being a collaborative space made by women for women. The space has a number of core values with reciprocity, collaboration and poly-activity being central to ensuring the capital’s entrepreneurial women are given a place to connect with others working through similar problems, and who want to develop both professional and personal networks with others from day to day. 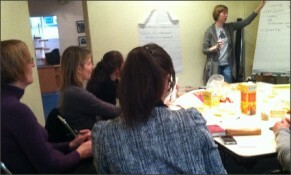 Soleilles Cowork also offer drop-in events for women to meet the team and get to look around the space. The Cantine has been influential for the coworking scene in France. After being founded by nine separate organisations, the coworking space in Renne now offers a number of subscriptions both for visitors and those eager to use the facilities more often (from €24 to €400) – and boasts an atmosphere that is both studious and relaxed. The space also has a packed event schedule catering for a range of digital niches from mobile technology to the Dojo randori for programmers eager to hone their coding skills. Like Soleilles Cowork and others, Coworking Lille is developing with a particular target user in mind, namely those interested in ‘eco-innovation’. The space seeks to harbour sustainability across environmental, social and economic equity – and is inviting freelancers and professionals working in graphic design, media, digital, communications and computing to come and work, pool resources and network with these issue in mind. The space aims to open officially in February 2011. Is healthy eating and digital tech leading to new trends in office cuisine? If you are familiar with coworking offices and collaborative spaces you will likely be aware of the idea that eating and drinking – and environments where these activities are going on – can be integral to helping start-ups and individuals finding and working on new ideas. Indeed, as readers of our post Future Working: Five ingredients that go into a perfect co-working space will know, one aspect which coworking spaces differ from traditional offices is by the lengths at which they go to include coffee shop or cafe type areas within their premises in order to give members an authentic atmosphere universally regarded as being perfect for coming up with ‘the next big thing’ – perhaps even more so than the office itself! As the trend towards coworking offices and similar spaces continues, it is fair to say that over the last few years there has been something of a renaissance in terms of the food we see being consumed in all kinds of offices. At first glance, it is arguably as much due to an increased awareness about how the food we eat affects our health but as we go into more depth it is fair to say that technologies – old and new – are affecting what we eat at work. With the importance of the health of staff becoming an ever-increasing obligation for managers and business owners, fruit which is fresher and of a better quality than that which is found on the supermarket shelves is more often finding its way into our offices. London-based fruit suppliers such as Fruit for the Office and Fruit for Thought pride themselves on being able to deliver diverse types of good quality fruit to offices across the capital – and with no additional cost for delivery. However, it is rarely the value for money nor the quality of the produce which is seen as the biggest benefit of buying in food in this way. Instead, it is how fresh fruit promotes wellness, boosts morale and subsequently increases productivity which highlights its true worth for modern offices. Companies such as Fruit for the Office are great for inner-city offices where managers are keen to please a team of employees, but what options are there for individuals? Are they destined to pop down to Tesco Express, or worse, McDonalds to grab a bite to eat? Not anymore. Unique service Graze was founded by seven friends eager to enjoy the food they liked at work, and their healthy snack mail order service took off soon after. 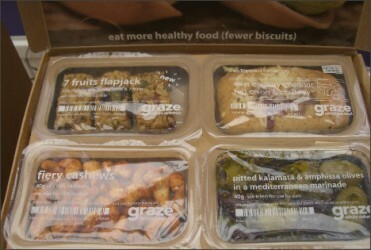 Graze offer one person snack boxes which include four different foods sent by post direct to your office. The blend of old technologies (i.e. the postal service) and digital (users login to the Graze website to select the foods they like, so they always get something they enjoy – but can still be surprised) is a fantastic use of traditional and new media and an exciting and pleasing way to avoid eating junk food in the office. Social media as food delivery tool? While Graze and the fruit companies we’ve seen are embracing online technologies, in the US social media is becoming integral to a new crop of gourmet food providers. Mobile Mexican food provider Comida use their website, Facebook and Twitter feed to update office workers in the Boulder and Denver area as to where the truck will be visiting that day in an effort to avoid the area’s tough street vending regulations. By being able to keep potential customers updated just in case the Comida truck is passing by soon, the business has not only seen roaring trade – but they have also become something of an influence on other food truck start-ups seeing that there is niche in the market for quality food delivery with a social media presence. With the aim of writing a fairly light-hearted festive post, we here at Lemon Studios got to thinking what books we might like to see in our Christmas stockings this year. The top five that follows features some new releases and some modern-day classics we believe all mobile, online and digital entrepreneurs/programmers/coworkers should read if they have not yet done so. 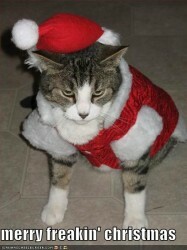 If you have any other suggestions, please post a comment. 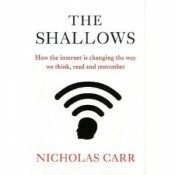 The latest release from Nicholas Carr, The Shallows: How the Internet is Changing the Way We Think, Read and Remember, is an exploration into the psychological effects of an online world on ourselves and those around us. However, despite the rather gloomy notion that the web could be ‘fostering ignorance’ Carr doesn’t seem to yearn for a rose-tinted pre-internet age. Instead, The Shallows works to highlight the added value of internet-information if we learn to process it with both the long and short term in mind. Paul Graham’s collection of essays, Hackers & Painters: Big Ideas from the Computer Age: Essays on the Art of Programming, deal with a diverse range of topics from life as a nerd at school to more technical aspects of spam filtering and programming (Graham himself is an acclaimed programmer responsible most famously for his work on Yahoo! Store). This book, therefore, should appeal to those with an interest in programming – as well as the important role of programmers and hackers in both small and large business environments today. Albert-Laszlo Barabasi’s Linked: How Everything is Connected to Everything Else and What it Means for Business and Everyday Life has become something of a classic since its release in 2002. This introduction to network science is a must-read for those who are as interested in online social networks as they are the more general ways we share ideas and information with those around us. And as the world becomes increasingly connected across multiple channels, Linked seems as relevant for 2011 as it was upon its release. 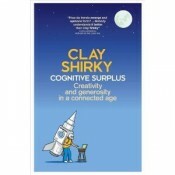 Cognitive Surplus: Creativity and Generosity in a Connected Age in many ways follows on from the ideas established by Shirky in his 2009 book Here Comes Everybody. 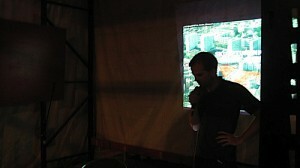 Yet, moving away from discussions of Wikipedia and the crowd established in Here Comes…, Cognitive Surplus is more focussed on how developments in technology are stimulating our desire to make the world a better place by harking back to ideas of community and collaboration – values that were arguably more natural to us before the arrival of the internet. 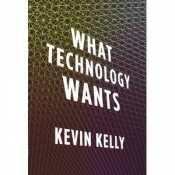 Kevin Kelly is most well known for editing Wired and his latest book, What Technology Wants, in many ways follows on from ideas discussed by Barabasi in Linked insofar that technology is much like its own organism akin to the way that a collection of cells is a network. By looking at technology as a living, evolving organism Kelly argues that we can make the most from its inevitable developments – and posits the idea that our relationship with it is symbiotic, in that it comes to depend on us the more we depend on it. It is little surprise that being green seems to be an important aspect of running a successful coworking business. After all, for a movement that has been borne from the need to foster a community which works to nurture the individuals within it, it makes sense that many coworking spaces are conscientious about how the way they run their businesses will have an impact beyond their own walls. And it is safe to say that operating in an environmentally friendly way is a key part of many of the coworking initiatives we have discussed in previous posts in our Great Minds series. Here at Lemon Studios we have our own green policy which includes recycling facilities onsite and using a specialist cleaning company which only uses environmentally friendly products. Additionally, we have also signed up to 10:10, an organisation founded to assist individuals and organisations of all sizes to cut their Carbon footprint by 10 percent by the end of 2010 – an altogether more easily understood aim in comparison to the far-off goals discussed beforehand in politics and the media. Yet, there are some aspects of the coworking lifestyle which might have an environmental impact which is not so obvious. 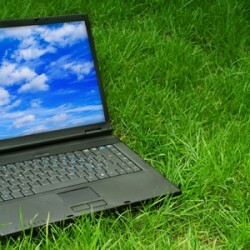 A recent article by Siel Ju over at Mother Nature Network really caught our eye (we tweeted about it back in October) highlights the amount of energy used by everyday computer work. Using statistics gathered by The Guardian, i.e. that each ‘proper’ email we receive creates four grams of CO2-equivalent emissions, she managed to work out that on the average day for a journalist such as herself, she creates around the same amount of CO2 as driving a car a mile just by sending and receiving emails. Of course all round digital connectivity is simply the way most work gets done in today’s connected coworking world – and how to lessen its environmental impact (beyond power saving options, offsetting the carbon we do use, and looking out for the most energy efficient technology) is surely going to be a big environmental discussion point as social media and digital communications continues to grow in popularity on into 2011. As The Guardian posits the idea of taxing spammers – and using the money for environmental good – I can’t help but wonder if the next significant digital movement after social media will be something along the lines of ‘environmental media’ and I hope the coworking community will be the place which inspires, promotes and nurtures such an agenda. Last month our friends over at Econsultancy posted an article by Greig Holbrook on adapting SEO for BRIC markets. In the post, Greig highlights that in these areas where there will be more than 1.2 billion web-users by 2015, SEOs should be adapting for a wider variety of search engines other than Google, and all with quite different method for ranking, crawling sites and dealing with online content. With this in mind, and knowing how important coworking is to emerging search and digital start-ups, we decided to dedicate the fourth of our Great Minds series to the current coworking opportunities in the BRIC markets. With a population verging on 200 million and a fast-growing mobile market, Brazilian coworking spaces have been founded in – amongst other places – Sao Paulo and Rio de Janeiro, and are set for opening in more outlying cities such as Curitiba. The well established BeesOffice in Rio de Janeiro offers room for 30 coworkers in a space originally inspired by the behaviour of bees – and includes a conference room, lounge, and a number of perks and home comforts. Pto de Contato of Sao Paulo currently has two offices within the city and prides itself on appealing to those who do not fit into traditional corporate standards. As is perhaps expected, many Russian coworking spaces are located in Moscow. The 260sq.m. 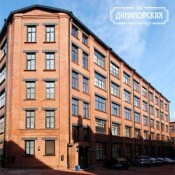 Communist Loft boasts a world class creative office to accommodate individuals and enterprises of any size whilst community site: http://www.officeshare.ru/ is a great place to find details of emerging spaces around Moscow. Additionally, spaces such as RostovUnderground Open Space in Rostov-na-Donu are emerging to help prospective collaborators in areas beyond the capital. As Greig mentions in his article, the rise in social media is inspiring many search specialists to think social when it comes to SEO in India, and areas around Delhi and Goa have seen an emerging digital scene. When it comes to coworking, Delhi may well be home to India’s Jelly meetup, but it is Bangalore in the south of the country which appears to be taking collaborative work to the next level. OpenCommune has been established to bring ‘cafe-like community/collaboration space within a shared office environment for entrepreneurs and freelancers,’ while Jaaga not only offers coworking and events space but accommodation is also available for those who want to use the facilities. In-keeping with China’s vibrant and fast advancing digital scene, coworking really appears to be well established in the country, with Hong Kong and the surrounding area seeming to be at the forefront (BootHK is a good example). 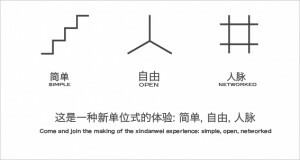 Further north in Shanghai, new space Xindanwei really caught our eye as it not only offers ample modern work space and places to relax and hold events, but there are also exhibition opportunities and salon spaces too. Consequently, the space has hosted a number of big-name clients such as TED screenings and workshops by MIT Media Lab Scratch. Although connectivity and being online is a key aspect of any well-equipped coworking space, we rarely discuss the presence of the wider coworking community online. That reason alone seemed good enough to dedicate this post to the best coworking resources online (as well as our own humble blog, of course) in order to give an informed idea of the best web-based places for ideas, inspiration and information. The first port of call for anyone looking for coworking information – the Coworking Wiki is subsequently very popular among those associated with the industry. There are links here to many key resources ranging from – for example – software solutions, a blog directory and information on green coworking. Naturally, the wiki invites users to submit and edit content – and the inclusive Coworking Space Directory is a fantastic country by country resource of spaces around the world. Coworking Google group: Set up by those behind the above wiki, this Google groups is a good place for spaces and those who run them to communicate and to discuss the issues of the day. 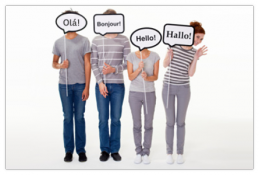 Topics and threads can be read by non-members – and there is a nice balance of input from individuals in a range of countries. Twitter and YouTube: Perhaps unexpectedly, social networking sites are awash with coworking information and comment but Twitter and YouTube seem to dominate. Many spaces (including ourselves) have a Twitter account and a quick search of the #coworking hashtag reveal a steady turnaround of links and updates. YouTube is also handy, not only for basic coworking information, but also for finding video ‘walkabouts’ of specific spaces. Coworking Community Blog: This tidy Wordpress blog offers great posts, videos and an interactive Google Map showing spaces across the globe. Global Coworking Blog: Frequently updated and chock full of content, the Global Coworking Blog accepts submissions from guest authors and features articles on topics ranging from scientific studies to non-work benefits of coworking. Coworking Space: A clean Blogspot offering posts and links under a number of handy sub headings such as: Coworking Guide, Coworking Press and Coworking Space (which includes a slideshow). Coworking Catalyst Guide: A huge Google Doc full of information for prospective coworking office start-ups including Q&As, tips and important contacts. This Ain’t No Disco and Office Snapshots: A couple of really nice photo-led sites with a keen focus on office design inside and out. For those with an interest in forward thinking and really efficient coworking spaces (and perhaps looking for some ideas), the content here is about as good as it gets. Lifehacker and GigaOM: Although not exclusively coworking-orientated, Lifehacker and GigaOM (and no doubt numerous others) are really useful for practical solutions, and more general articles when it comes to the subject of coworking – especially for home-based co-workers and those new to the scene. Feel free to add any more online coworking resources in the comments. Nairobi’s innovation hub is the first of its kind in Kenya and prides itself on meeting the needs of the city’s prospective technologists, investors, tech companies and hackers. The large open plan co-working office boasts huge windows, around 3700 square feet of floorspace and a balcony with great views – as well as a 20mb internet connection to inspire and aid young entrepreneurs, programmers, designers and researchers. 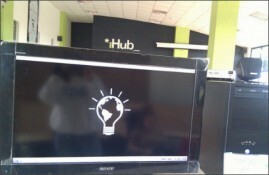 iHub operates via a membership system which also allows users to enter the community remotely online. Of all the African countries, coworking spaces and incubators appear to be most abundant in South Africa with projects like Geekspace and Bandwidth Barn already well established. Dirk Visser, founder of Open Innovation Studio in Cape Town, has endeavoured to blend the best attributes of a shared office, classroom, coffee shop and gallery to establish a community of innovators in the city. Since 2008 the space has welcomed a range of tenants eager to work, share, learn, and change the world – and have sought to make international links with social innovation schemes such as the Centre for Social Innovation in Toronto, Canada. On the surface Bantalabs is a bilingual international web and mobile app development company with offices in Paris, France and St Louis, Senegal. However, in keeping with their explicit aim to empower people and invest in the community, Bantalabs have also established their own coworking space in St Louis for freelancers and start-ups (with a technology bent) to have an accessible place to work – whilst at the same time promoting the use, creation and development of open source software in the country. They are currently inviting everyone to drop by to check out the offices and already have plans to establish another in the capital Dakar. 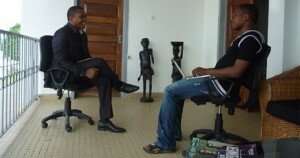 Limbe Labs community and collaboration space has been set up to help foster an indigenous high-tech start-up sector in Cameroon. Limbe Labs believe there are six key elements to ensure a creative work environment for freelancers and start-ups: collaboration, openness, community, accessibility, sustainability and support. They offer two membership levels, the cheaper option allowing use of the space for two days a week while a more full-time option comes at a slightly higher price. 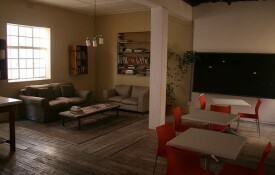 Yet, they also offer free drop-in opportunities so prospective users can have a taste of their stimulating environment.